Looking for your best shoe stretcher? If you’ve recently purchased a new pair of boots for work or a fancy pair of high heels and you find them too tight and uncomfortable (we’ve all got different feet width, that’s a common thing to happen), you need to look out for solutions. 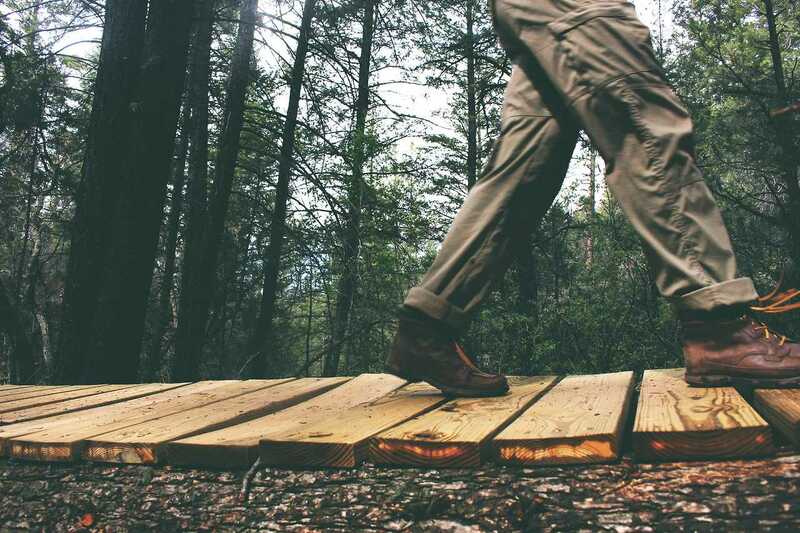 Obviously, each pair of shoes, especially if they are made of leather, has its break in period but if you want to skip that, a shoe widener might come in handy. Contrary to popular beliefs, a shoe widener does not damage your shoes if used accordingly. 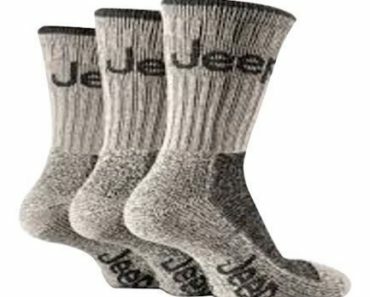 So make sure you read precisely the manufacturer indications and, no matter what, do not overstretch as the shoes that are too loose don’t feel comfortable either. There are a few easy methods of stretching your new shoes but the most effective one is getting your hands on a shoe stretcher. I cannot decide which one is my favourite regarding the best mens shoe stretcher as both Seeadler and Dasco have done a brilliant job for me so if you buy one of them I’d love to hear your oppinion. 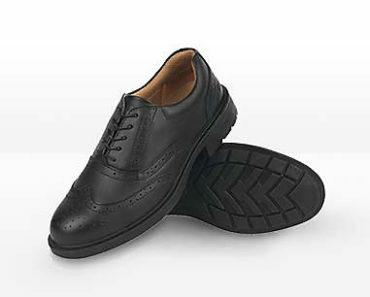 A shoe tree is used to maintain the original shape and form of the shoes, to minimise the creasing effect. Once inside your shoes, you can adjust the prefered length and width simply by turning the screw, thanks to an integrated metal spring system. 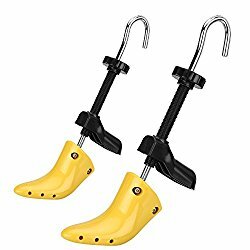 They are one of the most popular and best-rated choice among Amazon.co.uk customers, if you really love your shoes, you do need to buy these. Plus, they come with a lifetime warranty and 100 % money back guarantee. They are one of the best shoe stretchers for women as they are specifically used as a high heel shoe stretcher. Although being made of polyurethane plastic and a steel shaft, they are extremely durable. They’ve got 6 holes in which you can insert the pressure relief pods (8 of them included in the sale) to target the painful areas caused by blisters, corns or bunions. It’s a three way adjustable high heel shoe stretcher: it can be used to adjust width, lenght or the height. 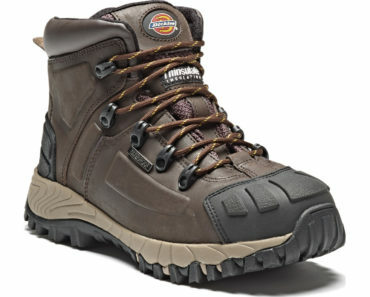 You get a single pair that can be used to adjust both – left or right shoe. 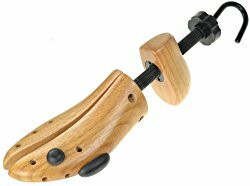 This wooden two ways shoe stretcher can be used to expand both the width and the length of a shoe. This specific product is for large size shoes (UK sizes 10 to 12). However, they offer the same product for small or even extra large sizes, so make sure you buy the right one. It is equipped with many holes in all the right places so that the 3 plastic modules that come with it can be moved to stretch many different parts of the shoes, according to your needs. You can even increase the toe space by lifting the toe box area, which I think it’s a great and very useful feature. It is made of a hardwood with a metal internal bolt and a crank. Again, it is sold individually but you can use it to adjust both sides: right or left. A high quality, robust shoe stretcher that is build to last. Plus, you get 2 years warranty on it. 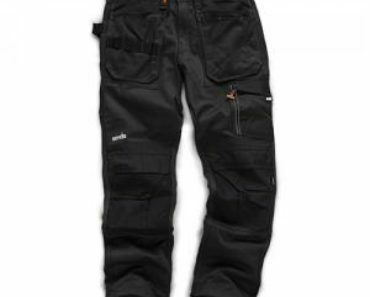 The exact same product but for smaller sizes ( UK 6 to 8), can be found by clicking on this link. The link for the extra large sizes (UK 12,5 to 14) can be found by going here. 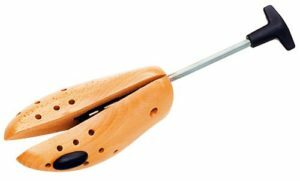 Made of beech wood and with a metal mechanism, this Delfa shoe stretcher is another praised product among others. It can be used to widen your shoes or to target, using the buttons provided, those specific areas that pinch you. It is mostly intended to be used on flat shoes, for high heels I’d highly recommend the Sibba plastic stretchers. A simple design, easy to use and with a praised longevity. This shoe stretcher does the job just fine. You simply insert the wooden end into your shoes and turn the handle clockwise. The two wooden halves separate themselves and slowly widen your shoes. However, you can use this shoe expander to only modify the width of your shoes. Hence the reason it’s a bit cheaper compared to others. Made of beech wood, you can use these Sibba boots expander to stretch the width of your boots or, using the buttons provided, to target specific areas that pinch you. 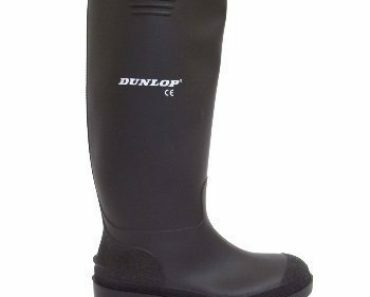 They are quite easy to use, you simply have to introduce them inside the boots and twist the handle. It is advised to let the stretcher in for at least 24 hours, the longer – the better. 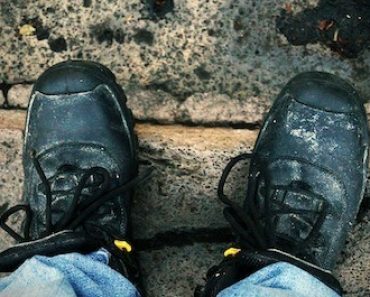 One major downside: if you need to stretch a pair of sturdy, solid boots you might find yourself in trouble as their mechanism quality is not one of the best. But, you get two boot wideners on your order instead of just one and free returns. Enough to convince you?